If your ear hurts to touch, you may have an outer ear infection (otitis externa). This infection of the outer ear and the ear canal is caused by bacteria or fungi that thrive in the moist, dark environment of the ear. While these symptoms are uncomfortable, an outer ear infection is usually not dangerous and can be treated effectively with antibacterial drops or oral antibiotics. However, people who have diabetes, weakened immune systems, and the elderly can develop malignant otitis externa. This is a rare, non-cancerous form of infection that can spread to the surrounding bones and be fatal if left untreated. The pain of an ear infection can make you miserable and can get worse without treatment. Get fast relief from the pain of otitis externa at your local FastMed Urgent Care. We are open for extended hours during the week and see patients throughout the weekend. You never need an appointment, and we do our best to get you in and out and on your way in under an hour. 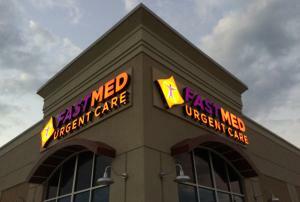 Follow us on Twitter and like us on Facebook to learn more about FastMed Urgent Care in your community! When your ear hurts to touch and you suspect an ear infection, visit your local FastMed Urgent Care for fast, high-quality, and compassionate care.